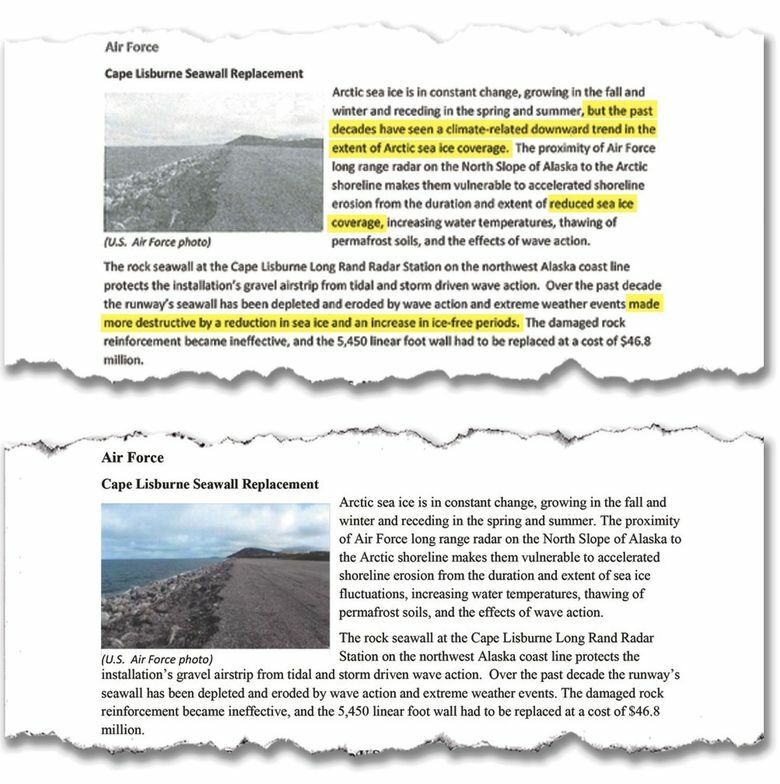 WASHINGTON — Internal changes to a draft Defense Department report de-emphasized the threats climate change poses to military bases and installations, muting or removing references to climate-driven changes in the Arctic and potential risks from rising seas, an unpublished draft obtained by The Washington Post reveals. Those and other edits suggest the Pentagon has adapted its approach to public discussion of climate change under President Donald Trump, who has expressed doubt about the reality of a phenomenon that scientists agree presents an increasing danger to the planet. While military leaders have said they see a changing climate as a driver of instability worldwide, they have also sought to stay out of a politically charged debate about its causes. The final document, a 32-page report to Congress, was published more than a year after the earlier draft. It, like its earlier version, finds that out of more than 3,500 military sites around the world, 782 reported being affected by drought, 763 by major wind events, and 706 by flooding, along with other problems – results that drew considerable attention when they debuted in late January. 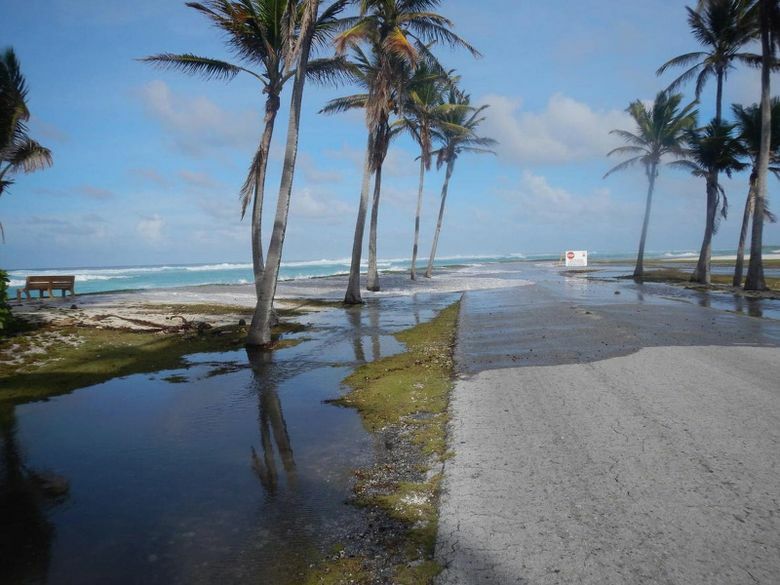 But the December 2016 draft was far more direct in its discussion of climate change and in particular the issue of sea-level rise – a well-known problem facing many military sites in coastal areas, from the sprawling naval base in Norfolk to the Ronald Reagan Ballistic Missile Defense Test Site in the Pacific’s remote Marshall Islands. Seas are currently rising by about 3.2 millimeters per year, and scientists fear the rise could accelerate in coming decades. 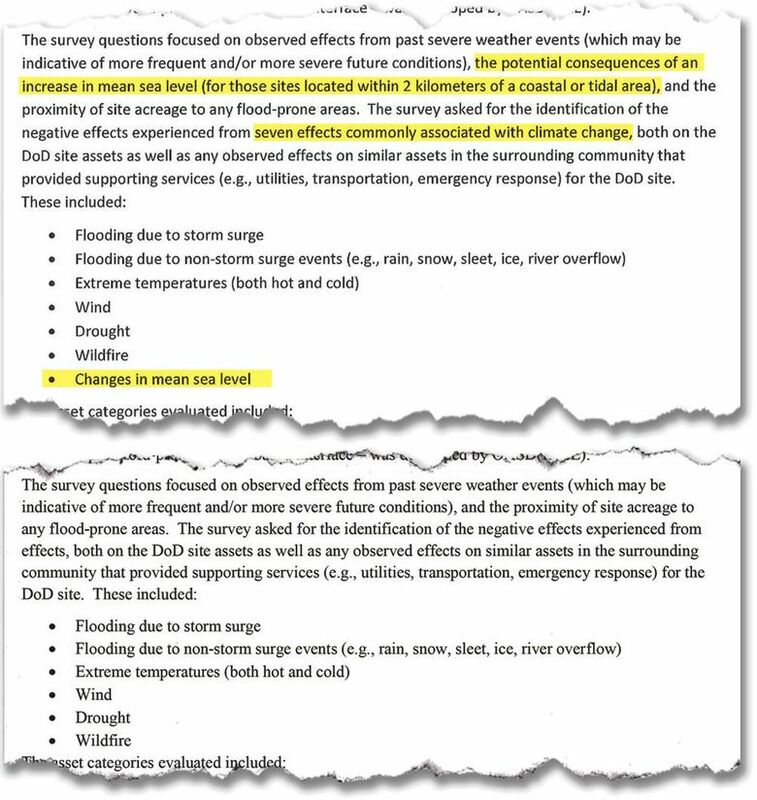 Current and former officials said that the wording and content of the report was unlikely to have a bearing on how the military services respond – or do not respond – to climate change. In some ways, the military has been seen as proactive in its attitude to climate issues, seeking to protect infrastructure in places such as Norfolk from changing weather, producing a massive climate change “road map” and planning for changes in the Arctic.